This is Guiyang Jazz. Martin, an Australian, has loved music all his life. 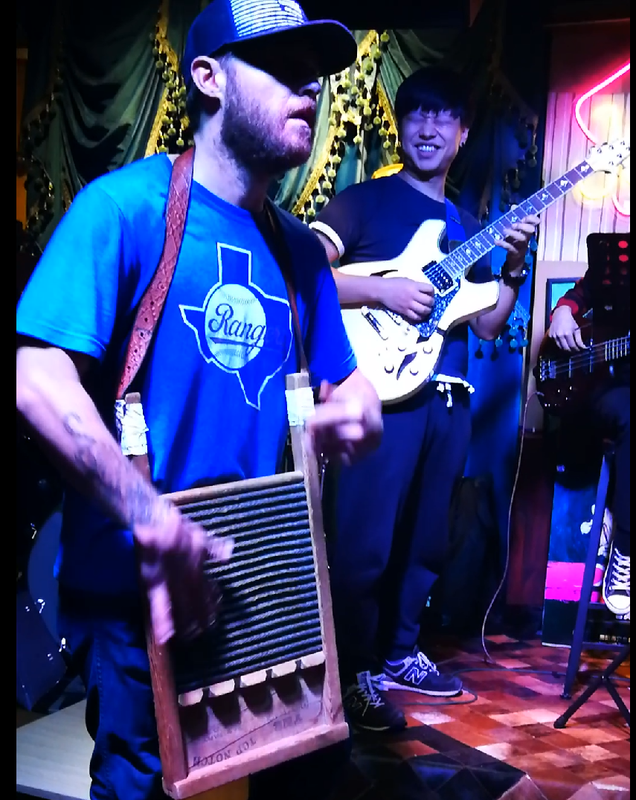 He plays with Chinese musicians and brings his jazzy friends up from Australia to play at the Obsession Jazz bar, on Wenchang Beilu. Live Jazz ( Alt Link ) . It is right across from the Wenchang Castle in the old part of town. 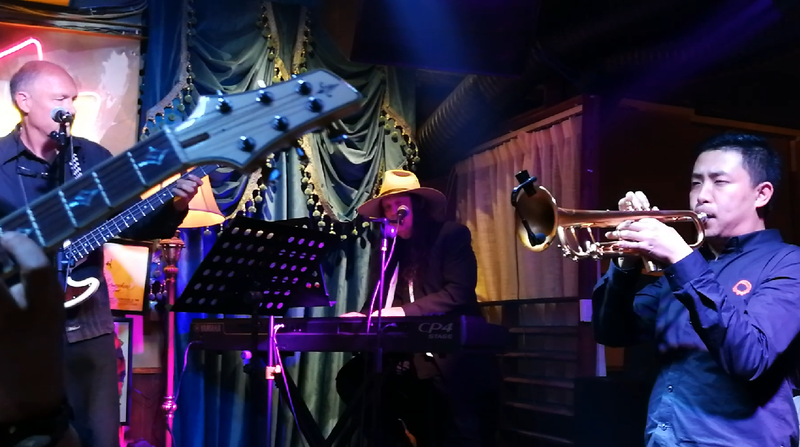 It is a multicultural experience with Chinese and foreigners together in the same Jazz Bar venue. Martin has drawn from many parts of the globe, including from England to Australia. Guiyang Jazz, like all Jazz has it roots in the south of the USA. Martin even pulls in Americans to play drums, horns, and one of my favorites, the zydeco. The zydeco is sometimes referred to as a Louisiana washboard Zydeco ( Alt Link ).